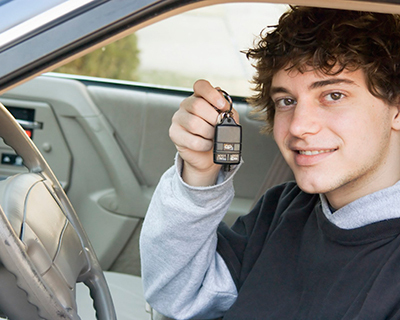 To obtain a driver education permit, students must be at least 15 years of age. We will need to see the student's birth certificate or current Passport, in order to issue the state form (C.D.E. form) needed for the student to obtain his/her permit from the BMV. Our main office is located in Carmel, but we also conduct lessons in New Palestine (New Palestine H.S), Columbus, IN (Fair Oaks Mall), Greensburg, IN (Greensburg Learning Center). We also occasionally offer classes and drives in: Mt. Vernon H.S - Fortville IN, Tipton, IN (4-H Fair Grounds) and surrounding areas. We have an established office in the same location for the last 29 years where you can call or come in to have your questions and concerns answered. Your student can receive their CDE form upon registering for the package program, to get their permit sooner. If you do both the online and in-car instruction with AA Indiana Driving School, you can take the final road test here and not have to take it at the BMV.